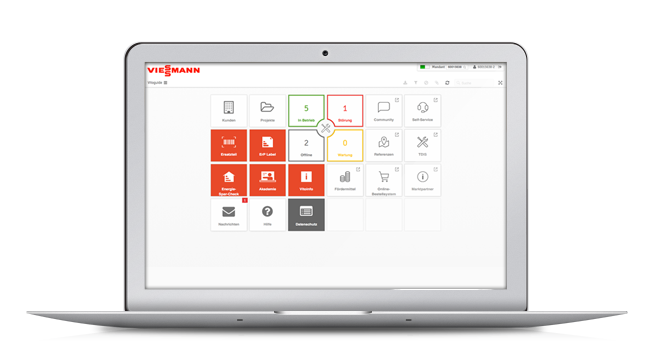 Viessmann is now offering its trade partners an innovative solution for monitoring heating systems with Vitoguide software. The system user benefits from greater reassurance, whilst the trade partner keeps a constant watch over the heating systems for which they are responsible online. Log in and try it for yourself. Get to grips with Vitoguide by directly starting your own system or that of a member of your staff. Still not signed up? 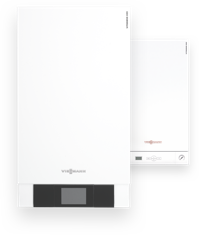 Contact your Viessmann sales advisor. ViCare is the key to unlocking your Vitoguide experience. ViCare makes operating the heating system very straightforward and intuitive for your customers. For example, they are able to preset the temperature they find most comfortable. And a very important feature for your customers: They can immediately connect to their trade partner. The Vitoconnect 100 WiFi module is the interface between boiler and app and is hardwired to the Vitotronic control unit. A wall mounted adaptor measuring only 10 x 10 centimetres is provided, with a plug-in power supply unit included in the standard delivery. The Vitoconnect 100 hooks up to the local WiFi network via plug & play. To register, all you need to do is use your smartphone to scan the QR code attached. 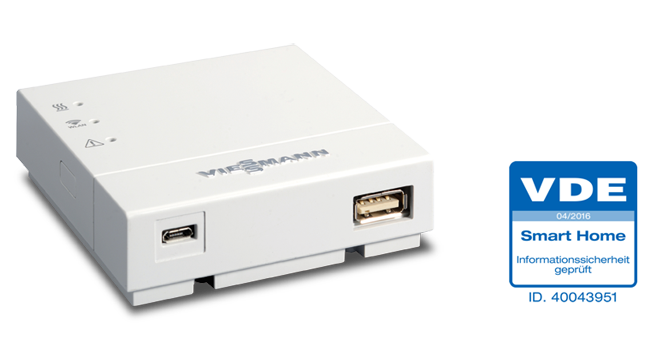 The Vitoconnect 100 is compatible with mobile terminal devices with iOS (V8.0 or higher) and Android (V 4.4 or higher) operating systems. Once the ViCare app is up and running, you can set up Vitoconnect and also get linked up to your local contractor in Vitoguide. The Vitoconnect 100 incorporates a comprehensive approach to security, which has successfully passed a VDE Smart Home information security test.